The key to being properly equipped for our Christian walk. If you plan to hike in remote areas, away from civilization where cell phone service is non-existent, or sketchy, at best, it is a good idea to be equipped to handle any situation you might encounter. In addition to food, water, and extra clothing (weather and season dependent), some of the gear I typically carry, either on my person or in my backpack includes: a knife (or three), a fire starting kit, a map and compass (even though I carry a GPS unit, it is unreliable in deep valleys with heavy tree cover, and useless when the batteries die), a well-stocked first aid kit, a headlamp and spare batteries, 55 gallon drum liners (emergency shelter or rain cover), rope or paracord, duct tape (many uses, including fire starting), and last, but not least, my Bible. I have a few other odds and ends in my backpack, but this gives you an idea of some things to consider. Of course carrying all this gear does you no good if you do not know how to use it. For example, a topographic map is just a confusing mess of squiggly lines if you do not understand how to read it, and navigating with a compass is not a trivial task if you have never used one before. Starting a fire is not nearly as easy as you might think, especially in an emergency situation or under adverse conditions. And, finally, having some basic first aid training and skills practice will make a big difference when you open that first aid kit to treat an injury out on the trail. In the Bible God has provided us the means to prepare for the situations we will face in our Christian walk, so that we “may be complete, equipped for every good work.” But, how useful will our Bibles be to us if they sit on the shelf gathering dust? How much will we profit from the wisdom and teaching of the Almighty God of the universe if we never take the time to study and apply his word in our daily life? How well equipped will we be if the texts from a Sunday sermon are our only exposure to God’s word? It takes time, effort, and perseverance to gain a solid understanding of the truths of Scripture. 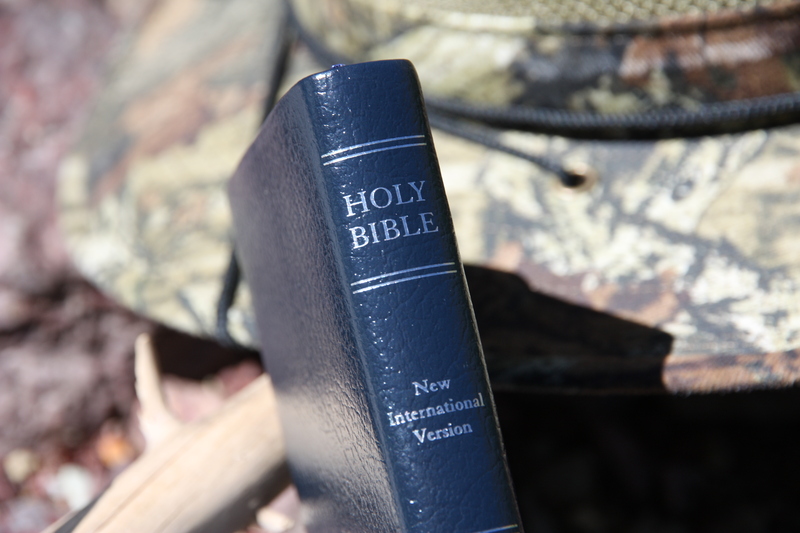 And, just like wilderness survival skills, you have to practice and train regularly with God’s word to be able to apply it most effectively in times of need. This entry was posted in God is Revealed... and tagged Bible, Bible study, Christian living, First aid, God, God's Word, Holy Bible, Holy Scripture, Survival, Survival equipment, Survival skills, Wilderness survival by Todd D. Nystrom. Bookmark the permalink.